here is a massive castle i made. To start off i would just like to thank you for taking the time to look at this world. sorry i don't know how to reset the spawn. This is my first go at making a map for uploading :). The idea is that its an old abandoned city that was defeated long ago. now you are left to explore the ruins. This map is an ongoing project and i would really appreciate any ideas to improve it and make it more interesting. I am also planning to put a story in it for version 2.
again thank you for taking the time to see this world. For More Screenshots, Click HereThis castle is built into the side of the mountain, and had many secrets hidden throughout. There is a town withing its walls, and a throne room, as well as a barracks for the king's guard. I recommend using the John Smith Legacy texture pack, though the map looks fine in any pack. Through the use of command blocks, this map has usable furniture in Vanilla minecraft! 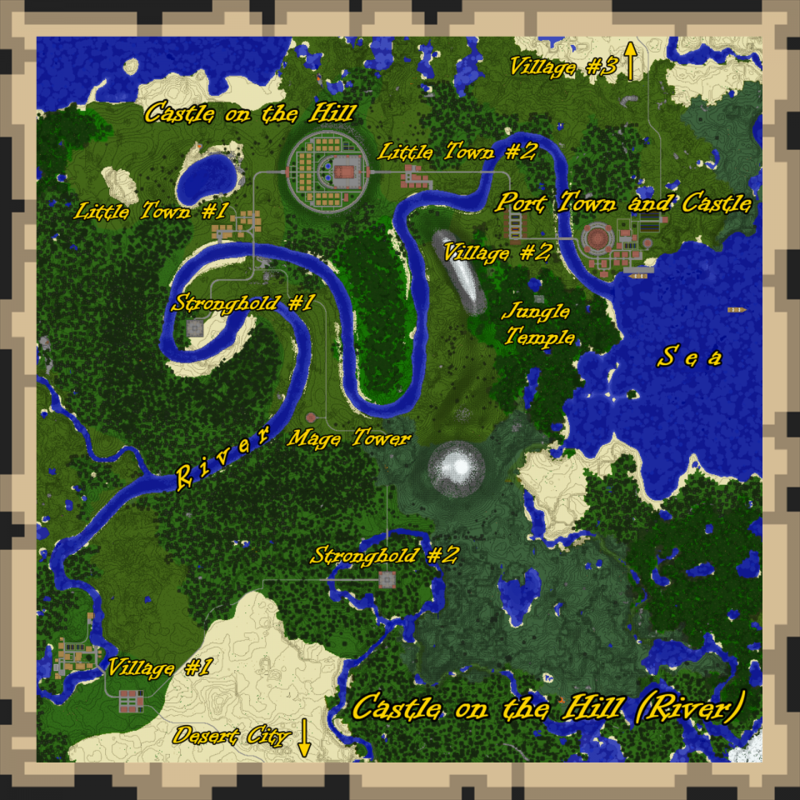 Have fun exploring the map, and thanks for downloading!